I have to admit that due to my hectic and unpredictable schedule, sometimes it's even hard for me to grab myself some decent breakfast/lunch/dinner at the office (depending on what time I'm there). That is why... I am so excited to discover foodpanda, a food delivery service that's available via its website foodpanda.my (or if you live in KL, there's a dedicated microsite for KL-ites) and the App. Anyway, it has always been on my mind to try this service and one day, I was pretty much stuck at the office... so I decided to give this a try. So I told a few colleagues about it too and we decided to try. This is based on my experience using foodpanda twice. 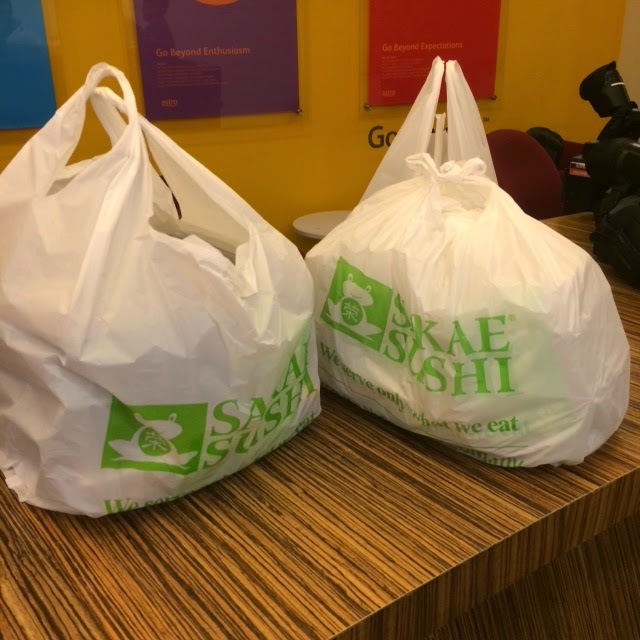 First we ordered ChaTime and the second time we ordered Sakae Sushi. Registration. 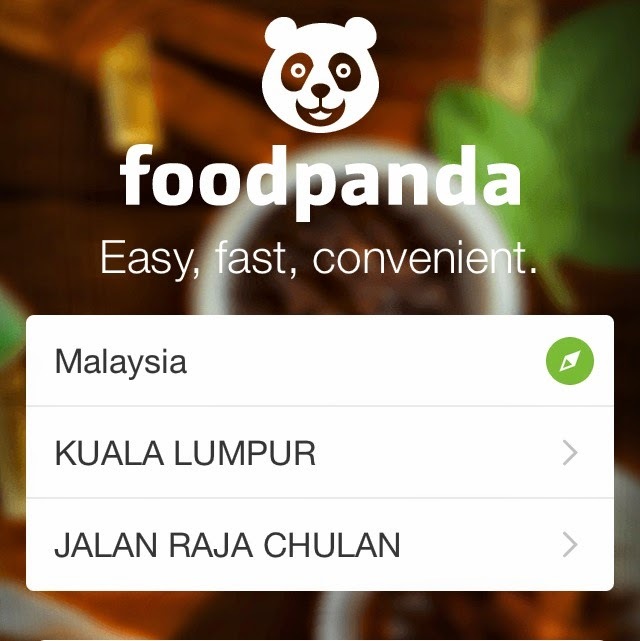 Registration can be done via its website kualalumpur.foodpanda.my, foodpanda.my or the App. It won't ask much except for your name, email address, password, address and phone number. It took me like 2 minutes to fill in the details. However I had problem signing up using Firefox. Every time I pressed Submit, I return to the top of the page. So I decided to switch web browser and had no problem signing up using Chrome. It allows you to register multiple address. Love this option as I can save my office address and home address. Location. Every time you visit the website or the App, it asks you to locate your location. To be honest, I'm happy with their database because it's available in major cities. Right now, foodpanda is available at Cyberjaya/Putrajaya, Ipoh, Johor Bahru, Kuala Lumpur, Melaka, Penang, Petaling Jaya, Shah Alam, Klang, Sunway, Subang Jaya, and Puchong. Select your restaurants. 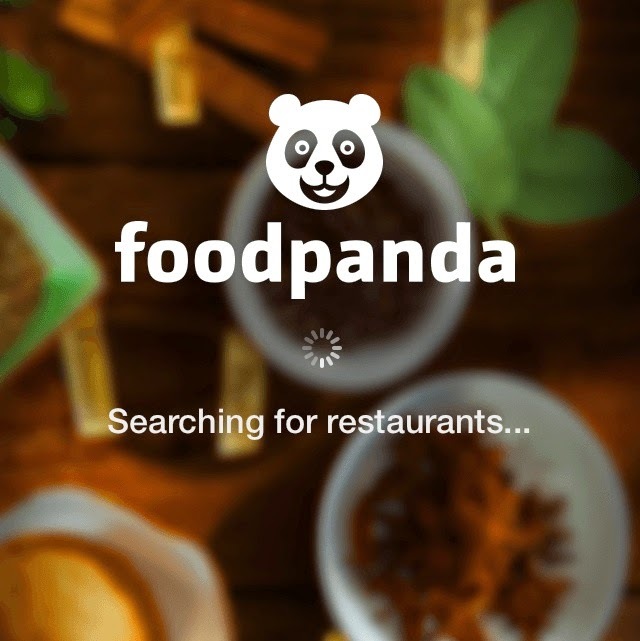 Apart from covering major areas, foodpanda has partnered with various well-known establishments. As I was browsing through the restaurants available for Jalan Raja Chulan area, I'm just amazed by the amount of restaurants available. My colleagues and I even asked, "Ehhhh that restaurant can deliver ahhh?" Select your order. Ordering from the App is so easy. Everything is so organised and is just a click away. 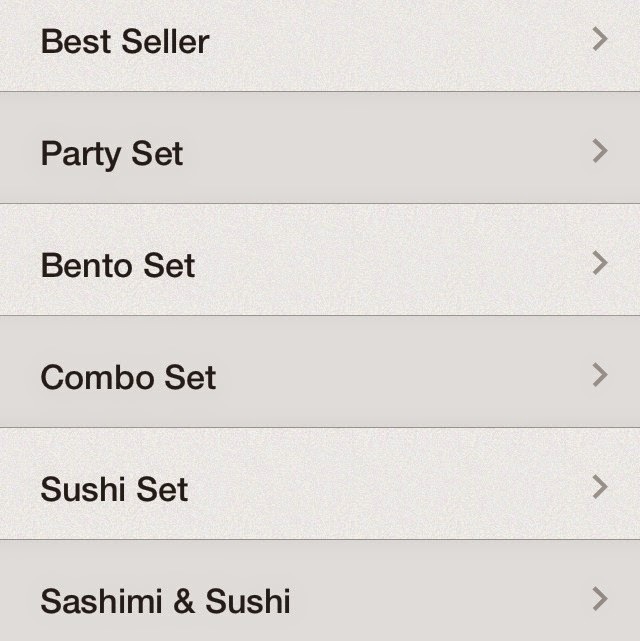 Feel like having sushi, choose the sushi set. 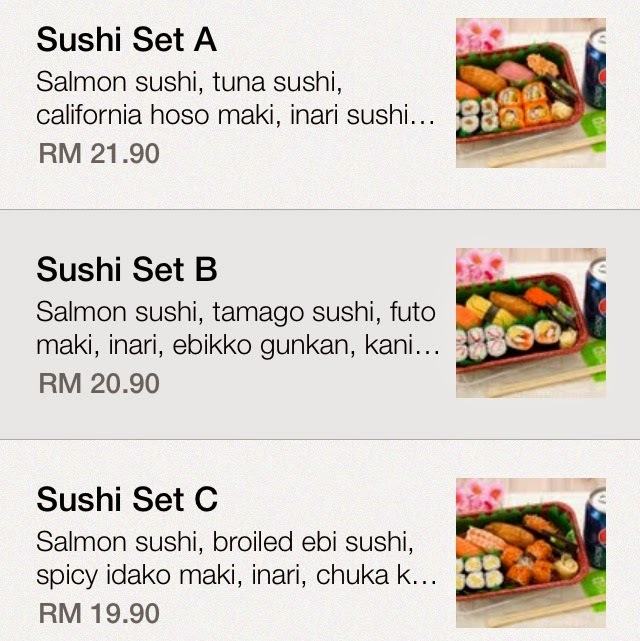 Feel like having bento, well, choose the bento set la! Once you choose your desired Set. The App will ask you to select the amount before placing it into your Basket. Errrr... more people decided to order. 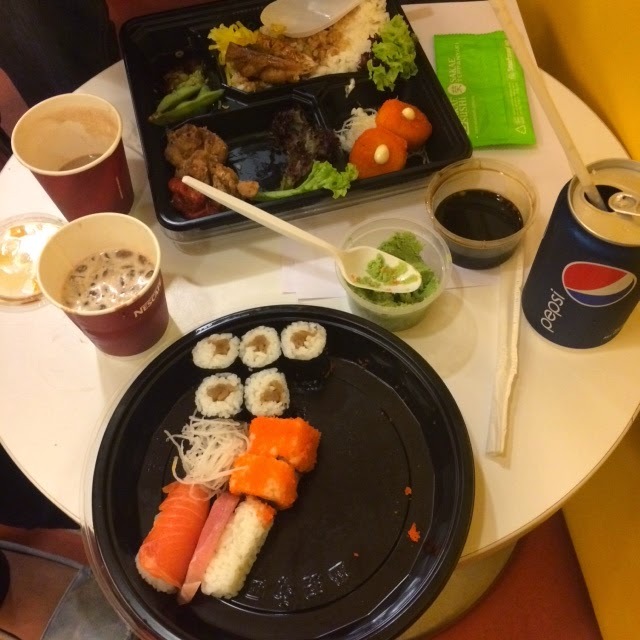 Ah, I'm so glad my colleagues were curious about the foodpanda App. Price. Just to let you know, there is a Service Fee (gotta pay for good service right?) and also a Delivery Fee. 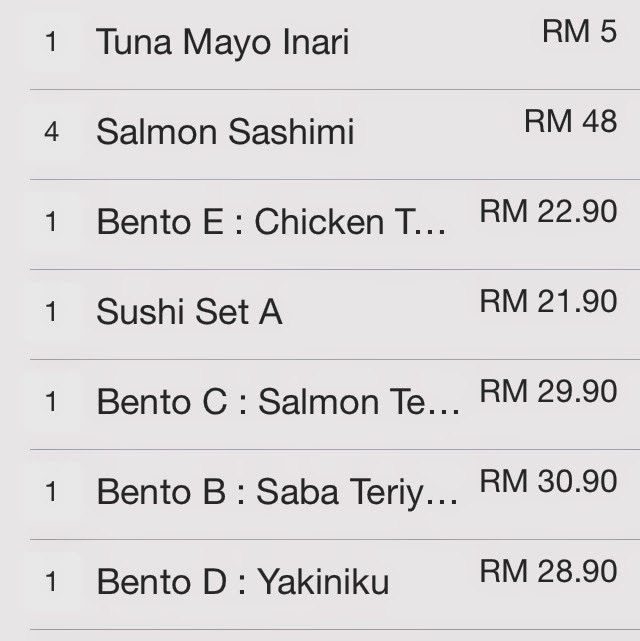 The Delivery Fee is available below the name of the restaurants. On average, the delivery fee is RM4. There is also a minimum order. All these information are available as you select the restaurants, so be sure to read all the prints properly. Payment options. You can pay Cash on Delivery OR Credit Card. You can also register your B Card so that you're able to collect even more points! 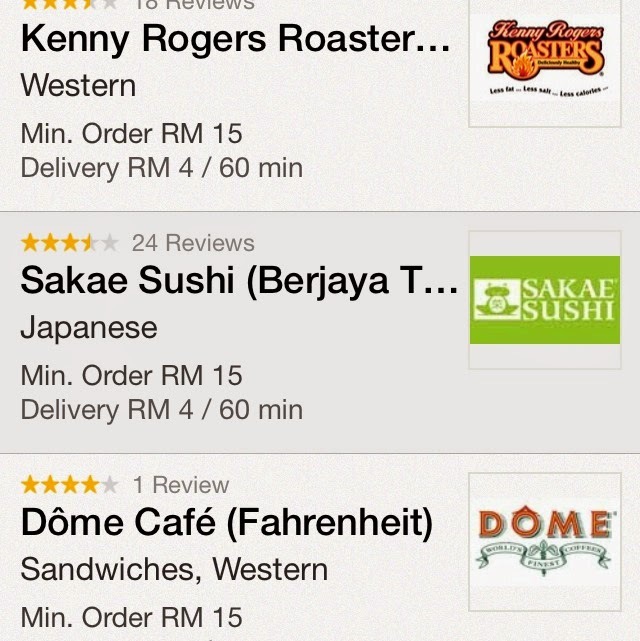 Oh, apart from Delivery, you also choose the Pick-Up option for selected restaurants. Ordering Time. Your order will usually arrive within one hour after they confirm your order. Upon confirmation, you will receive a SMS. I received my ChaTime 10 minutes earlier than expected. 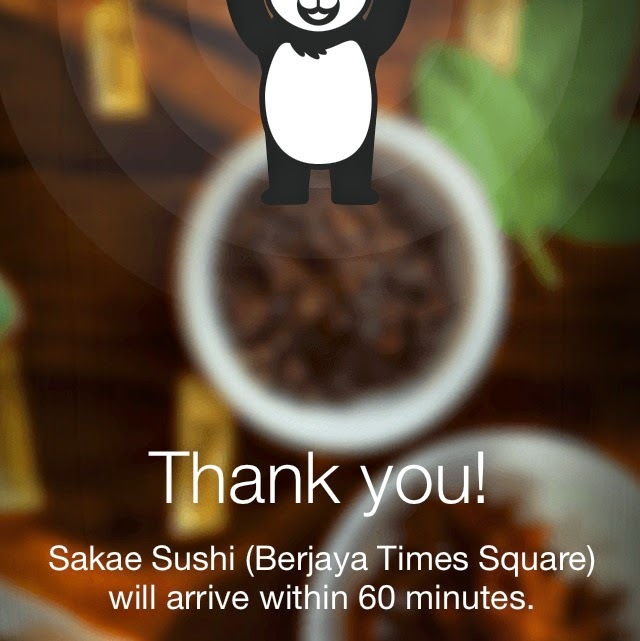 However, I received my Sakae Sushi 10 minutes late. No biggie as the delivery man called me beforehand to inform of the delay. Plus it was a Friday and my office is located in the city. Overall, I am really happy with the service. It's very user-friendly and the service is efficient. I am definitely using this online food delivery service in the future. 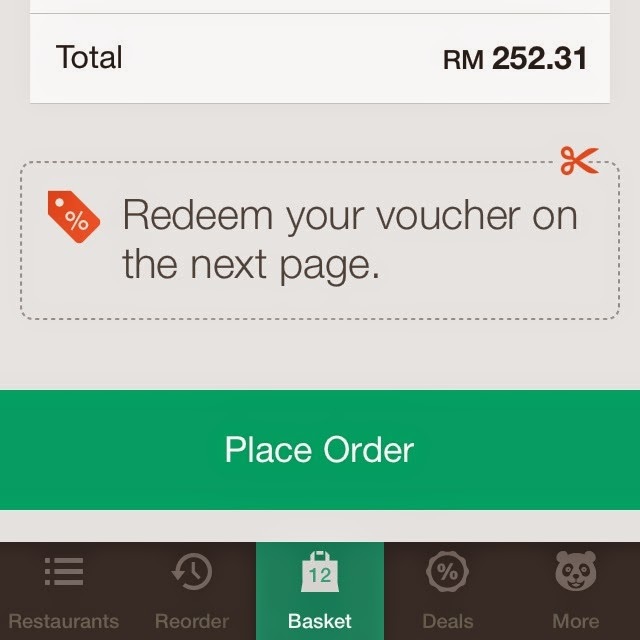 For more info on foodpanda, visit kualalumpur.foodpanda.my, foodpanda.my or download the App for Android and iPhone.